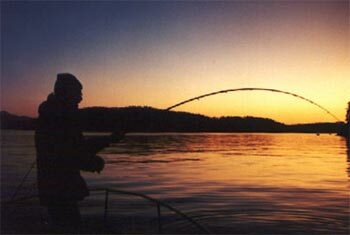 If you have plenty of time and loads of patient then Angling or Fishing could be a very interesting sport for you. 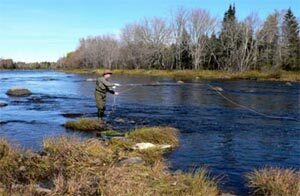 Fishing is an Eco-friendly sport which require great patient and lots of time. This sport would not suite for those who are out of patience when they loose a fish or get tired while waiting for their catch. Nepal, the world's second rich country in the water resources having numbers of rivers and lakes, is an ideal location for pleasure of fishing and angling. There are some specific ethnic group in the hills and Terai region of Nepal whose lifestyle has been based on Fishing. Bote, Majhi, Tharu and Machhuwar are some of them.Betrawati, Indrawati, Karnali, Trisuli and Koshi are some of the major rivers where fishing and angling is possible. In some of River fishing are strictly prohibited but while fishing, fisherman should not forget to take care of some other aquatic species such as fresh water dolphins, Crocodiles etc in the Koshi, Rapti and Narayani River system. Sport of fishing like hunting, is not well-advertised in Nepal, but is possible and rewarding. Approximately 118 varieties of fresh water fish live in these Himalayan waters. Mahaseer is the most commonly sought sport fish, besides mountain stream trout-like varieties and lowland water species. Anglers can try their luck in Pokhara’s crystal clear lakes, or in west Nepal’s Bardia Wildlife reserves where local agents can organizes guided fishing trips. While trekking or rafting, bring along your pole, or give the locals’ method a try vita bamboo pole or crude fish trap. We organize fishing trips in streams close to Kathmandu. 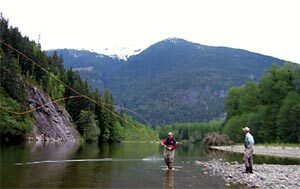 The Himalayan rivers and lakes camps offer good grounds for fishing for the fishing adventure lovers. Approximately more than 185 species of exotic fish are dancing around the fresh Himalayan water, ranging from the much sought after Mahseer to the mountain stream trout, catfish, Murrei, rainbow trout, common trout and crap (the crap is the largest fish which can be of several kilos). It is an exciting and wonderful spot to hook out the colorful fish in the clear Himalayan Rivers. The best season is from October to November and February to May. Sport fishing is also gaining popularity in Nepal. There are approximately 118 varieties of fresh - water fish in the Himalayan Rivers ranging from the much sought after mahseer to the mountain stream trout-like varieties. The best season to go fishing on the white waters is before and after the monsoon from February till April and October and November. Some popular fishing areas are Karnali, Babai is Bardiya, Chitwan's river confluences, Dolalghat, on Kodari Highway and Pokhara's lakes. Boats, fishing rods and tackle are available on hire. Fishing is all the more fun in mountain streams. In the Terai river water large catfish, murrel and carp are found in abundance. There are agencies in Kathmandu that organize fishing trips to streams around the Valley. Nepal is a land of diverse topography, climate, ethnicity and biodiversity. Within an average breadth of about 150 km, the altitude varies from 60 meter above sea level to the world's highest peak Mount Sagarmatha scaling 8848 km it has three large river basins namely Koshi in the east, Narayani in the central and Karnali in the west. The rivers of Nepal supports more than 100 species of fish including the human size catfish known as Gonch, famous sporting fish the Mahasheer and delicious species the Jalkapoor. If you have plenty of time and loads of patient then Angling or Fishing could be a very interesting sport for you. 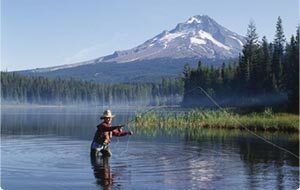 Fishing is an Eco-friendly sport which require great patient and lots of time. This sport would not suite for those who are out of patience when they loose a fish or get tired while waiting for their catch. Nepal, the world's second rich country in the water resources having numbers of rivers and lakes, is an ideal location for pleasure of fishing and angling. There are some specific ethnic group in the hills and Terai region of Nepal whose lifestyle has been based on Fishing. Bote, Majhi, Tharu and Machhuwar are some of them. Sport of fishing like hunting, is not well-advertised in Nepal, but is possible and rewarding. Approximately 118 varieties of fresh water fish live in these Himalayan waters. Mahaseer is the most commonly sought sport fish, besides mountain stream trout-like varieties and lowland water species. Anglers can try their luck in Pokhara’s crystal clear lakes, or in west Nepal’s Bardia Wildlife reserves where local agents can organizes guided fishing trips. While trekking or rafting, bring along your pole, or give the locals’ method a try vita bamboo pole or crude fish trap. We organize fishing trips in streams close to Kathmandu.